This pin was a gift to me from the Okie while we were traveling together on I-40 from Santa Nella, California to Asheville , NC. The Okie found this pin in a truck stop somewhere in New Mexico. He found it on a bulletin board. It wasn’t for sale. The Okie didn’t steal it. Someone had left it on a bulletin board near the restrooms. The Okie recognized it and picked it up. He was very excited about it. I’d never heard of APPA before. The Okie tried to explain it to me, but I never really understood. For many years, APPA has been on the loose, turning heads, dancing to a global heartbeat.The APPA stargate was dialed and busted opened first in India, with our worldwide dance culture and much later, on the playa of the Burning Man festival, APPA’s bold lines, bouncy moves, activated third eye, and whompin step embody our collective vision to spread joy and a positive paradigm throughout the world. 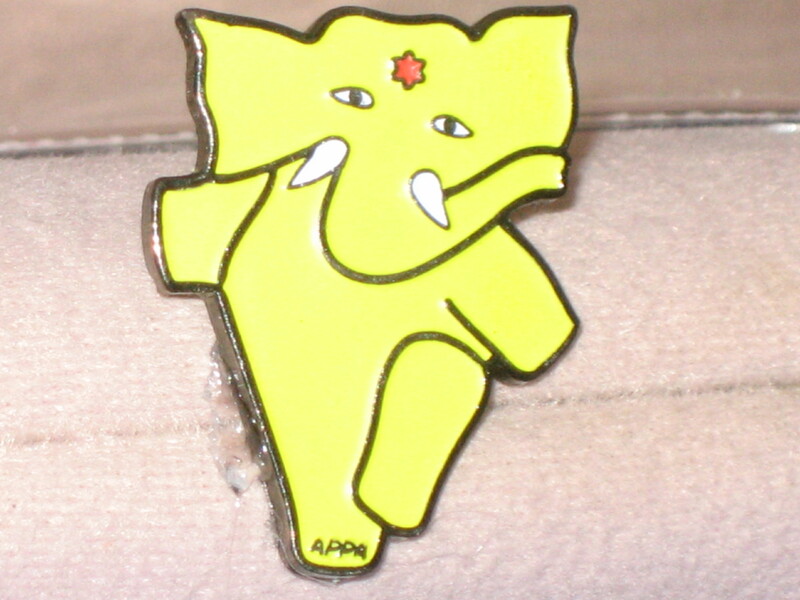 So far 250,000 visionary APPA stickers have been freely distributed as a social statement of positivity worldwide. The Okie was so excited about finding APPA (in a truck stop in New Mexico, of all places), that I was REALLY touched when after a few days, he said he thought that APPA should stay in the van with me and asked me if I would like to have it. I took it gratefully and humbly. APPA lives on my sun visor over my driver’s seat, and has been with me through three vans now. Even when I was between vans and on foot again, APPA traveled with me. It reminds me of the road, even when I’m in the city, and it reminds me of my friend who loved me enough to gift me with something very special to him. Photo of APPA by me.